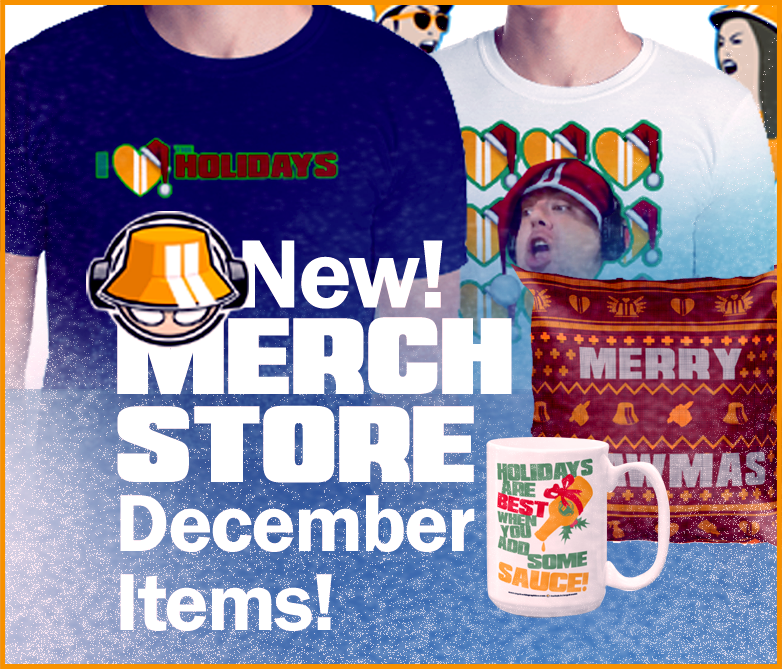 Release: New December Merch Items Are Live In The Shop!! Even though I'm down for the count for a few days from this cold, I was still able to finish adding a few new items to the merch store for this month between blowing my nose and taking naps. Introducing the official holiday/ December items from EWG! I'm very proud to say there are a handful of unique holiday items catering to everybody no matter your faith, and also some tongue and cheek items. In addition to holiday items there are also two new general stream related designs I've been excited to release to you. I've got more designs coming but that will be another month. I recommend purchasing the holiday related items by next Wednesday to definitely get them by Christmas as Streamlabs roughly a two week turnaround for US orders and looks like about a 3 week turnaround for outside the US. Happy Holidays folks, and happy shopping!! !